Don’t hire a skip and try to do-it-yourself. If your local council won’t take it and your property is filling up with waste and debris by the day, Jim’s Mowing can provide you with rubbish removal services that are reliable, affordable and trouble-free. We can take away garden waste and debris fast, leaving you with a relaxing, spacious and clean backyard to enjoy. Your family and friends may even start visiting again! All Jim’s Mowing professionals have full liability insurance and are trained to handle heavy and hazardous items. No matter what kind of waste and rubbish it is, we can remove it and load it into our truck, leaving your backyard and garden looking spotless. For urgent jobs we can even offer a same day clean up if our schedule permits. 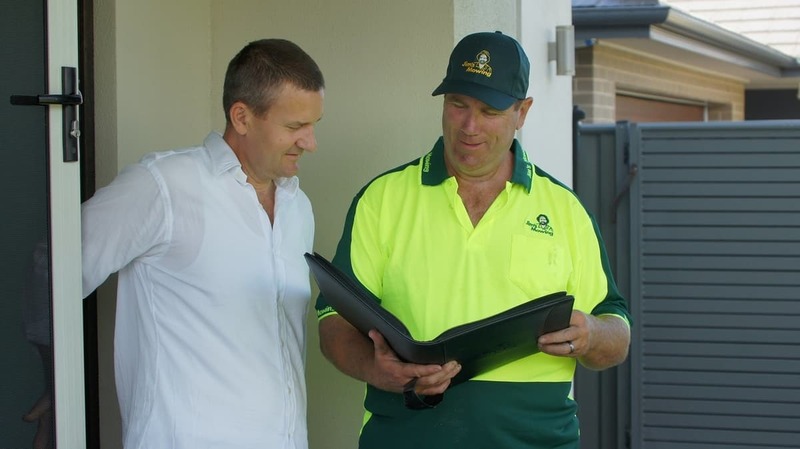 With Jim’s Mowing, rubbish removal is made ultra easy and hassle-free. Are you having a problem with mosquitos or cockroaches in your home? If you have a backyard clogged up with rubbish and waste you could putting your home at risk of infestation. Items in your backyard and garden that are damp or waterlogged will more than likely attract vermin to your property. Don’t cause a problem that could easily be solved with a clean up! Call in Jim’s Mowing today and let us give you an obligation-free quote. We can let the light back into your garden and give your garden the proper clean it deserves. To create a good impression, get Jim’s Mowing to make sure the garden looks clean and clutter-free before your first open house. If tenants leave rubbish behind, we can also help landlords remove rubbish quickly and with a minimum of fuss. Don’t stress any longer! 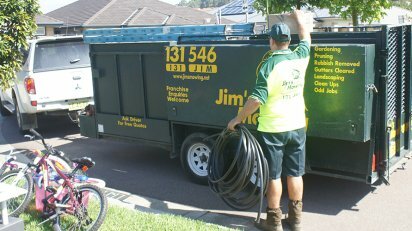 For fast Rubbish Removal Melbourne west call Jim’s Mowing on 131 456 or Book Online.